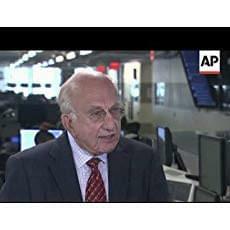 Former Assistant Chief Watergate Committee prosecutor David Dorsen has veered from his scholarly non-fiction works to delve into a humorous fictional account of Donald Trump. Dorsen said he felt compelled to pen what is a slightly burlesque treatment of the election and leadership of Donald Trump. 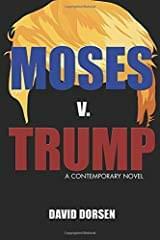 At the root of “Moses V Trump” is the President’s elusive tax returns, a freelance writer for an alt-right publication who communicates directly with God, and a sensational libel case before a veteran Federal Court judge. Jurist, Prosecutor and author DAVID DORSEN is a prominent jurist in high profile cases, an author of both fiction and non-fiction, a newspaper columnist, a food and wine critic, and a law professor. Some 45 years ago he was assistant chief counsel of the Senate Watergate Committee, the investigation that led to the resignation of President Richard Nixon. He is also a former assistant US Attorney under Robert M. Morgenthau. He has taught at Duke University in North Carolina, and Georgetown University Law Center and George Washington University Law School, both in Washington, DC. Though they often differed on issues, Dorsen was a long-time friend of the late Supreme Court Associate Justice Antonin Scalia and wrote a well-regarded book, The Unexpected Scalia: A Conservative Justice’s Liberal Opinions. An earlier book Dorsen wrote was Henry Friendly, Greatest Judge of his Era (with Richard A. Posner, 2012), which won the Green Bag Award for Exemplary Legal Writing.